You’ve decided to move to the cloud. It’s faster, more scalable, and more agile. Security is a priority, but you don’t want it to slow you down. The foundational infrastructure delivered by cloud providers is secure, but protecting the applications, workloads, and data you run on top of it is your responsibility - and it’s a big one, so how do you design a full scale? Public cloud providers have recently added services that root out security threats higher up the stack, but is your business prepared to systematically act on the alerts these services provide? How can you cover the full breadth of things? Join James Brown, Global VP of Technology Solutions, as he shares insights from Alert Logic’s 2017 Cloud Security Report, based upon findings from verified security incidents from thousands of companies around world. This impactful webinar will help you to understand how today’s vulnerabilities are being exploited and key strategies you can adopt to increase security, manage risk and be compliant. With the rapid rise of web application attacks, which is the number one source of data breaches, securing cloud-based web applications is a challenge. In order to fully protect your web applications in the cloud, it is important to know the risks, select the right security tool, and understand your role in the shared responsibility for security. Securing your AWS workload can mean many different things, ranging from locking down your environment via the AWS best practices list, to completely outsourcing the security management and responsibility to another company. While every company’s security journey is different, everyone can agree that the need to monitor and improve security posture is becoming increasingly important. Start here with Dan Pitman, Principal Security Architect, Alert Logic as he lists the top considerations to better protect your AWS workloads and applications. Learn the core fundamentals to a stronger AWS cloud security strategy. Data breaches are now a common global occurrence, causing real economic damage to businesses. Lost revenue, damaged reputations, disrupted operations, and significant costs to recover, cyber attackers are adapting their techniques at a much faster pace than most businesses. These once less sophisticated cyber criminals now have easier access to automated exploits that were previously only available to highly skilled nation-state actors. Unfortunately protecting an organisation against a cyber threat becomes impossible if you don’t know that the threat exists. So how do you protect your organisations against known and unknown threats? Security is constantly changing. To stay ahead of cyber threats, you need to leverage software plus services to augment your security team and capabilities. Join this webinar to hear about emerging threats and the current state of web application vulnerabilities. Learn about the most impactful web app attacks as well as remediation strategies. And take away best practices on how to ensure secure continuity in the cloud. An exciting and very important demonstration for anyone who develops applications, manages websites or is interested in security. Companies of every size and across every industry need to have a solution to defend against cyber attacks. For medium-sized and budget-constrained companies especially – the array of security technologies and solution and the volume of cyber threats can make the challenge seem overwhelming. Organizations suffer trying to manage raw data, security events and false positive incidents with limited context, overworked staff, and a lack of threat landscape knowledge. There is a better way to improve your security without the time, effort, and cost of purchasing and integrating multiple tools, a traditional SIEM or expensive traditional security outsourcing vendors. A seamless combination of platform, threat intelligence, and expert services can provide a simpler, most cost-effective approach to security for all infrastructure and workloads across physical, virtual and cloud environments. Get the inside scoop on a new approach to threat management that gives you the right level of coverage for the right resources. Join our Principal Security Architect, Dan Pitman to learn more about this more effective approach to cybersecurity and threat management. RSA 2019 is now behind us, as are the 750+ vendors, the dozens of presentations, and the shared insights of a Moscone Center full of experts. Financial organisations fall victim to cyber-attacks more frequently than any other industries. The growth in volume and sophistication of cyber-threats, combined with regulatory changes, mean that financial institutions are having to improve their IT security postures notably. Facing modern cyber-threats head-on requires organisations to follow well-defined processes and mature IT security tools that need to be closely monitored and managed. Additionally, financial businesses handle highly confidential data that must be stored in a compliant manner and managed securely. A seamless combination of platform, threat intelligence, and expert services can provide a simpler, most cost-effective approach to security for all infrastructure and workloads across physical, virtual and cloud environments. Get the inside scoop on a new approach to threat management that gives financial organisations the right level of coverage for the right resources. Join our Senior Solutions Architect, Paul Le Page, to learn more about this more effective approach to cybersecurity and threat management in the financial world. Security Operations Center (SOC) analysts are people who understand security, technology and the business – they watch your back 24/7 – and they’ve seen it all.. A SOC provides proactive threat monitoring, threat detection, and advice to stop cyber threats in their tracks. Staying continuously ahead of elusive assaults is a daily challenge security professionals face and you may be surprised at what goes on behind the scenes to keep you safe. To win, you need the capabilities of a modern, fully-staffed SOC. With the Alert Logic threat intelligence team, you get an army of researchers on your side, creating the cutting-edge security data necessary to protect your organisation against the latest cyber threats. 24/7 expert defense, with no added staff, and no more sleepless nights (not only in Seattle). • Our SOC gives you the edge over cyber adversaries. Join us and learn how. The medical/healthcare industry accounted for more than 23 percent of total cybersecurity breaches*. But, keeping up-to-date with HIPAA requirements to help protect data can be difficult. And selecting technologies so your organization can implement security controls to comply with HIPAA regulations can be overwhelming. And, we’ll share how Alert Logic can help you stay healthy with your HIPAA compliance projects with low cost and effective threat management for achieving and maintain compliance over time with less effort and cost. The retail industry faces a challenging cyber threat environment. Retailers store more consumer data than ever before, across an increasing range of digital platforms, providing cybercriminals with more valuable data to target and more doorways to access it. As retailers invest in new technologies to collect and manage customer data, there is a corresponding rise in the need to navigate the regulatory issues unique to these technologies and to maintain effective system controls to ensure the security of the collected data. As hacker techniques are becoming more widespread and sophisticated, it is important to have a comprehensive cyber security strategy in place. The impact of these data breaches can be catastrophic, especially in retail where brand reputation and loyalty are the keys to success. For retailers, more detection capability is necessary. They need access to more diverse, detection-based security controls to give them broader visibility of malicious activity in their network. In this live webinar, Dan Pitman at Alert Logic, will analyse the current UK Retail cyber threat landscape and the new approach to threat management that gives you the right level of coverage for the right resources to help you overcome the challenges of retail cyber security. How to handle evolving threats and expanding compliance risks when you have resource constraints. For years, organizations have struggled with the high-cost and long time-to-value of implementing Security Information and Event Management (SIEM) tools. Even worse, you may have tried an expensive cybersecurity outsourcing vendor that failed to deliver little more than yet another alert stream. Join this webinar instead of being held back by the past. Because the good news is there’s a new approach that seamlessly combines an award-winning security platform, cutting-edge threat intelligence, and 24x7 expert defenders that doesn’t take months or years to implement – with starting costs far less than one FTE a year – yes, you read that right. It’s a risk-based approach that gives you the right level of security and compliance coverage for cloud, hybrid, and on-premises environments. Organisations suffer trying to manage raw data, security events and false positive incidents with limited context, overworked staff, and a lack of threat landscape knowledge. There is a better way to improve your security without the time, effort, and cost of purchasing and integrating multiple tools, a traditional SIEM or expensive traditional security outsourcing vendors. 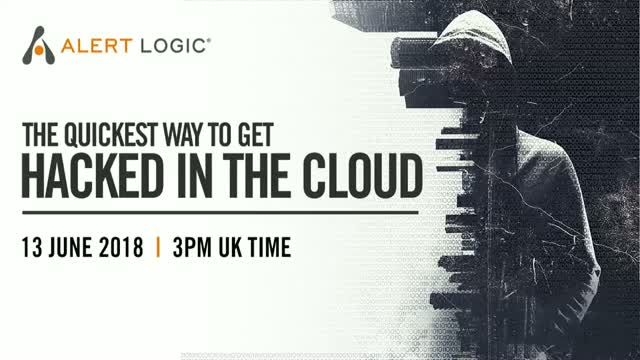 Attend this webinar to learn about new capabilities that Alert Logic has added that extends attack surface coverage for Endpoint, Multi-Cloud, and Dark Web. Get broader detection and response for less effort and lower cost with no SIEM required. How confident are you when it comes to your PCI compliance? Recent surveys show that only 55% of companies are PCI compliant. And 100% of breached PCI certified companies failed their PCI compliance audit. With PCI, it's not enough to achieve compliance. You need to maintain that compliance over time. Experts estimate that 80% of businesses fail their interim PCI compliance assessment and less than 1/3 manage to maintain complete compliance year over year. Join our experts as they discuss the challenges around PCI compliance and share how Alert Logic’s platform plus intelligence and experts can help with PCI compliance and complexity. Cyber attacks are ever-evolving and it can feel like you are struggling just to keep up. It’s time to get ahead of the game. Join us for the latest attack trends and threat insights from Alert Logic’s own SOC analysts. You’ll hear what’s happening on the front lines of cyber security defense, and which attack vectors are worth watching out for. We’ll also discuss the costs of running your own SOC and share some alternative approaches to get 24/7 dedicated coverage and better intelligence than you can access on your own. Staying continuously ahead of elusive assaults is a daily challenge security professionals face. To win, you need proactive threat monitoring, threat detection, and advice to stop threats quickly. You need the capabilities of a modern, fully-staffed SOC. With the Alert Logic threat intelligence team, you get an army of researchers on your side, creating the cutting-edge security data necessary to protect your organisation against the latest threats. 24/7 expert defense, with no added staff, and no more sleepless nights. Staying continuously ahead of elusive assaults is a daily challenge security professionals face. To win, you need proactive threat monitoring, threat detection, and advice to stop threats quickly. You need the capabilities of a modern, fully-staffed SOC. With the Alert Logic threat intelligence team, you get an army of researchers on your side, creating the cutting-edge security data necessary to protect your organization against the latest threats. 24/7 expert defense, with no added staff, and no more sleepless nights. Hear predictions from our security experts about the evolving threat landscape so you can get prepared with actionable recommendations to improve your cybersecurity posture for 2019. The attack landscape is shifting with increased automation and cunning new distribution methods. There’s no discrimination when it comes to a security breach any more: everyone is at risk. How are you preparing to stay ahead of attackers, and not just for their existing attack methods but new and emerging ones as well? Alert Logic security experts have a front row seat on current and emerging attacks across more than 4,000 clients. Join this webinar to hear their predictions for 2019 along with practical guidance on how you can stay a step ahead and better protect your business. Maintaining and proving PCI DSS compliance can be a constant headache. Without the right tools and resources, monitoring your PCI compliance can be complex and involve lots of time and costs. Join us as we share the three best practices for monitoring PCI compliance .. Alert Logic’s automated security controls streamline assessment and detection of vulnerabilities and suspicious behavior that could jeopardize your compliance status. Hear from our experts about these capabilities and more in this ’staying ahead of PCI compliance webinar. Additionally, this webinar will feature a Q&A session with Alert Logic customer Lee Ramsey, Co-founder of Pre-Fi, a provider of pre-qualification tools for consumer loan approvals. Lee will share how Alert Logic solutions help with PCI compliance preparedness. Think Threat Hunting is a nice-to-have, or just a buzz word? Think again. Threat hunting is critical for early detection of unknown threats and advanced attacks that turn into undetected breaches. In today’s complex cybersecurity landscape, threats are becoming more sophisticated, frequent, and elusive. It’s no longer enough to depend on traditional, reactive security to stay safe – incorporating threat hunting techniques in your cybersecurity strategy is a necessity. Threat hunting puts security on the offense. Rather than just waiting for an attack to trip an alarm, threat hunting takes a comprehensive, holistic approach to proactively monitor for and identify suspicious or potentially malicious activity, so you can take action earlier. Your company’s security depends on being able to detect threats and respond to attacks quickly. But most organizations investigate less than 4 percent of all events they receive. Alert Logic has a better way.